Thanks to our friends at AT&T, two more lucky Android Police readers are about to win a free Samsung Galaxy Note8. 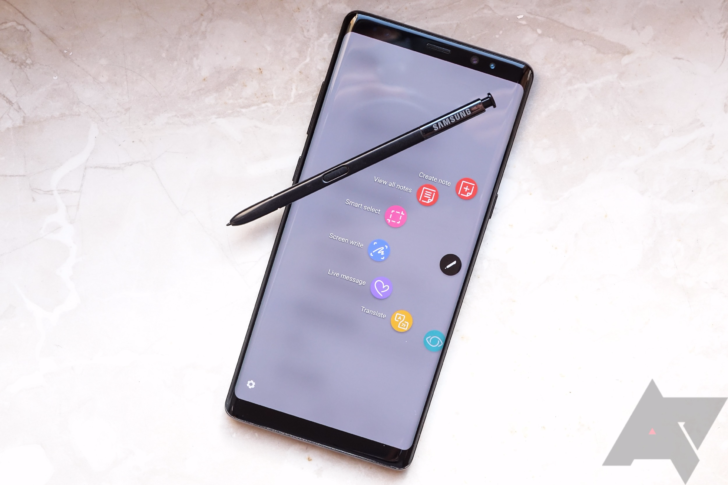 Our review of the Note8 called it "excellent" and "one of the best products on the market" and it made the top tier of our holiday best phones you can buy list. It looks like its market position will hold up pretty well as the S9 becomes available in the near future. And for the price of free, you don't have to worry about the value proposition. You should also check out AT&T's current deals, which include several buy one get one offers on flagships. Right now if you buy a Galaxy Note8 (or S8, S8+, S8 Active), you can get a Galaxy S8 thrown in for free on a second line. If you don't win this giveaway — or maybe even if you do — that's a great way to upgrade your entire family's smartphone hardware. To enter the giveaway, use the Gleam widget below. To win, you'll need a US mailing address and you should probably be living in the US as well to make the most of this AT&T-branded phone. The giveaway ends on Wednesday, March 14th at 11:59pm Pacific Time. Be sure to stop by every day to pick up a daily bonus entry.